We are dedicated to make your visits to our office the most exciting dental experience you've ever had! 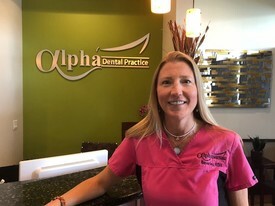 Our Patient care coordinator will help you understand your dental insurance benefits, and will assist you to get familiar with your dental treatment plan. 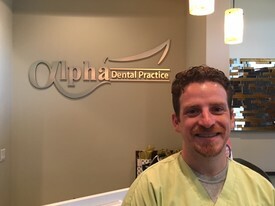 Our Clinical Assistants will help you throughout your dental procedure assuring your comfort and that all your concerns have been addressed and answered.
" Our goal is not to meet, but to exceed your expectation! " Lina was born in Queens, NY and moved to sunny Florida at a very young age. 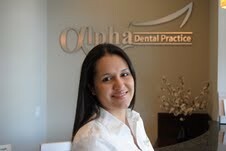 She has been in the dental field for over 12 years and truly enjoys interacting with our patients. When she is not at the office, she enjoys spending time with her husband and children.
" God has been very good to me. I thank Him for giving me something to smile about everyday ". 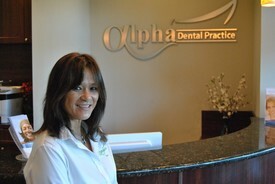 Suzi has been living in South Florida 31 years; She loves interacting with our patients and knows how to make them feel at ease. When she is not working, she enjoys spending time with her family and friends. Also, enjoys running when she has a chance.
" You are never too old to set another goal or to dream another dream ". Belkis was born in Havana, Cuba and came to the USA over 13 years ago. She is very comforting to our patients during their treatment and she enjoys working side by side with our Doctors as our Clinical Assistant. During her spare time she likes to read the Bible and spend time with her family. Matt was born in Syracuse, NY. He has been in the Medical field for over 8 years. He strives to provide each patient with the absolute best experience possible.
" The journey of 1000 Miles begins with a single step ". 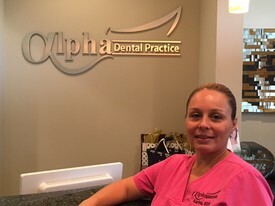 Karina graduated from New Jersey University of Medicine and Dentistry, and has been practicing Dental Hygiene since 2002. She moved to Florida with her family in 2012. 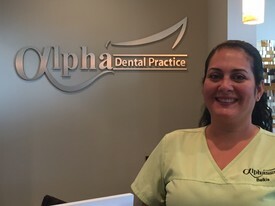 Karina enjoys helping our patients learn how to improve their Oral Health and understand the impact of Oral Health on their overall Health. In her spare time she takes pleasure in walking and spending time with her family. family and immersing herself in things that feed her soul. with some passion, some compassion, some humor, and some style." Maya and Tarek met in dental school at Nova Southeastern University and started a friendship that blossomed into romance. They got married in 2006 right before their senior year at dental school, and have been working together ever since. They have three beautiful chlidren, Talal Michael, Amanie May, and Noah William. In their spare time they enjoy hanging out with the kids and barbecuing at the house with the entire family.